Clippers & Blades There are 5 products. 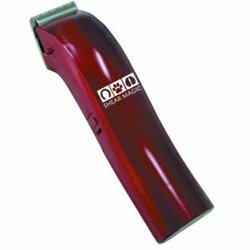 The KM10 brushless motor, professional 2-speed clipper is German engineered with revolutionary performance and extended motor life. A rotary motor, gear drive, fan cooled clipper suitable for professional groomers and vets as well as the home enthusiast. The Shear Magic Battery Trimmer is the perfect touch up trimmer. An extra slim pencil shaped trimmer with fine-toothed narrow blades for accuracy and precision in edging, outlining and fine design work.